If a cancellation is made by you, the client, within 24 hours of arrival day, loss of 100% of the total booking price. All cancellations incur loss of 20% of the total booking price. Tongariro River Rafting reserves the right to cancel or alter a cruise due to adverse weather conditions, or if a client is unsuitable due to age, size, ill health or poor fitness. If a cruise is cancelled by Tongariro River Rafting, you will be given the opportunity to change your booking date, or be given a refund. HEALTH & SAFETY: Tongariro River Rafting are committed to maintaining a safe and healthy environment for our clients, employees, visitors and any other persons involved in our business operations. Adventure activities have a degree of risk. Participants should be aware that no operator can absolutely guarantee their safety. Tongariro River Rafting cannot be held responsible for injury and loss or damage to personal property if you fail to follow our instructions. It is the Skipper’s right to refuse clients onboard if they are intoxicated or under the influence of drugs. There will be no credit refund if a participant is excluded from cruising due to being under the influence or alcohol or drugs. There is also no credit refund if a confirmed booking is not taken up, unless Tongariro River Rafting cancels the trip. ALCOHOL: No alcohol can be taken on board the vessels. DAMAGES: Any willful damage incurred to the property of Tongariro River Rafting will be charged to you, the client. 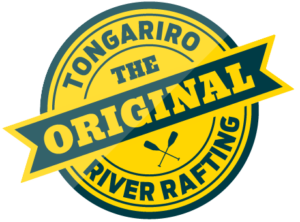 PROPERTY: Tongariro River Rafting and/or their employees are not liable for any property loss or damage, personal injury or suffering while participating in an activity. Where you are entitled to a refund, the refund will be made to the same credit card that you used to confirm the booking. For amendments of bookings, additional charges, or a refund, may apply depending on the nature of the booking amendment. 11. If you make a booking using a discount code, you will not be able to use that discount code on any subsequent booking amendment. Amendments will be made using the normal price of the product being amended. CURRENCY AND GST: All prices shown listed on this Web site are in New Zealand dollars. All prices include the New Zealand Goods and Services Tax. Your payment is handled by Real Time Booking Systems (RTBS) and will show on your credit card statement with the name “RTBS Ticket Money Trust”. Your booking is subject to the terms and conditions of Real Time Booking Systems.